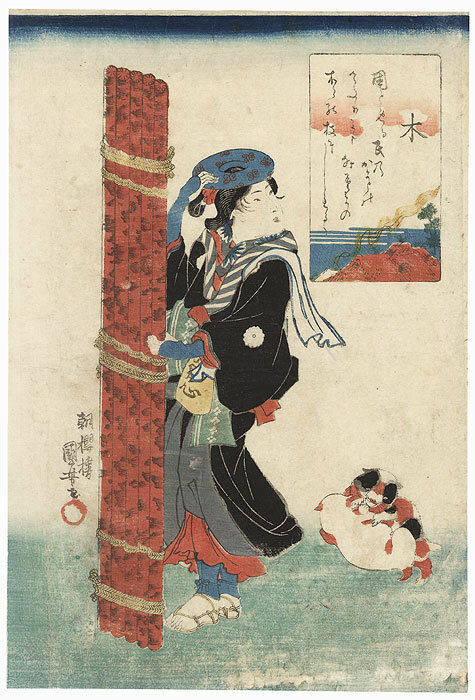 Wood - Interesting scene of a beauty holding onto a group of wooden poles tied together with rope with one hand while she holds a circular object above her head with the other hand. 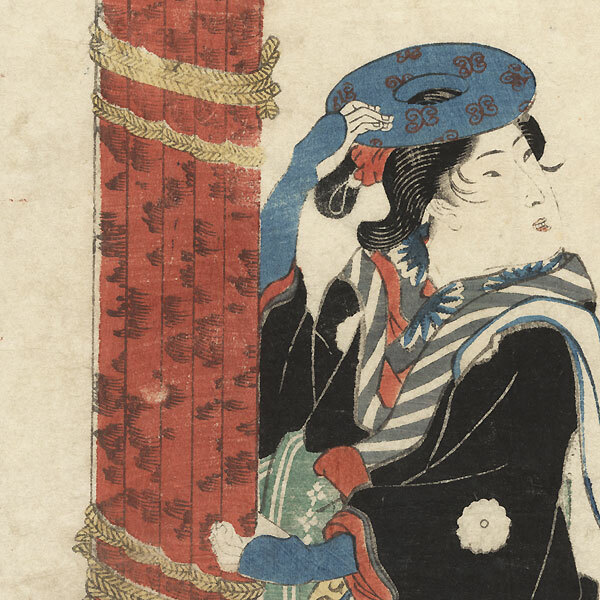 She wears a black kimono with a striped collar over a red under robe and blue leggings, a towel draped over one shoulder. Two dogs play with each other on the ground nearby. The rectangular inset shows woodsmoke rising from the fires of thatched roofed houses. Nicely detailed and attractively colored. Only the second time we've offered this design. 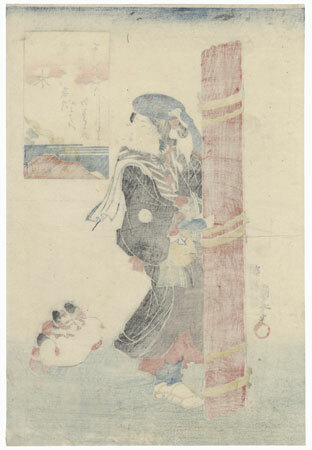 Condition - This print with good detail as shown. Hole, repaired. Slight toning, soiling, and rubbing, a few creases. Please see photos for details.